DIA Members To Exhibit at Scuba Show – Long Beach 2017 | Dive Industry Association, Inc. 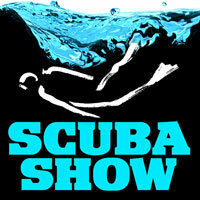 The following Dive Industry Association Members are exhibiting at Scuba Show on May 6-7, 2017 at the Long Beach Convention Center in Long Beach, CA. Make it a point to visit our DIA Members FIRST. This entry was posted in Events & Activities, Shows & Events, Trade & Consumer Shows. Bookmark the permalink.